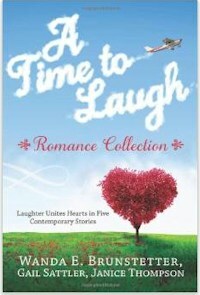 Get set for five lighthearted adventures in romance from three leading authors. Lois rebounds into the arms of a clown. Shy Tabby takes a ventriloquism class. Distrustful Shannon has a secret admirer. Carolyn is pursued by man who is opposite of her dreams. Tangie puts a Broadway career on hold. Enjoy a few laughs as the brokenhearted learn that a little bit of playful romance can turn life’s disappointments around. Friends of Fido will warm up to A Cup of Comfort® for Dog Lovers (September 2007, Adams Media,) which celebrates the love, loyalty and companionship people have with their pooches. Readers will rejoice in these 50 stories that honor the special relationship only man’s best friend can provide. In this moving collection, you’ll meet canines of all kinds—from the loyal dog who grieves along with mom when her young son dies, to a pooch who eases the isolation his owner suffers as a result of Asperger’s Syndrome. The stories—sometimes bittersweet, sometimes joyful, but always poignant—will touch the heart of everyone who has a soft spot for their furry friends. In A Tender Melody, Laura takes a job as a church pianist after the death of her husband. Although widowed pastor Gregory Winston is a mystery, Laura and Greg find themselves becoming friends. But neither of them realize that God has something more in store. In Piano Lessons, Jed moves in with his sister to help her care for her sons. Since he works at night, he decides to take piano lessons while his nephews are in school. His teacher, Jillian, has been hurt in the past, so she protects herself by leading a solitary life. But, Jed is about to change all that…. In It Only Takes a Spark, librarian Isobella de la Rosa finds the journal of a desperate person among the overdue books returned by fireman Parker Strickland. With little time left in town, Izzy devotes herself to sharing God’s love with Parker. Will she fall in love with him, too? In Familiar Strangers, Daniel has never stopped looking for his fiancée, who disappeared five years ago. When he’s able to get her story on a national television program, Sara recognizes her own face on T.V. With no memory of her life before, can she and Daniel rekindle the love they once shared? Buy this book from Crossings Bookclub! Note – This novella anthology contains PIANO LESSONS, a reprint of a previous Heartsong Presents – see my Heartsong Presents page for the complete storyline and original cover! Brigitte Weeks In Beyond Perfect, Deborah is scared that God will punish her for making the wrong choices with her life. Can Aidan convince her to accept grace—and his love? In The Wedding’s On, Trevor and Janice must convince Frank and Laura that they’re not compatible. They pretend to be a couple to get Frank and Laura to a pre-marital course. But will their love remain a ruse? In Family Circle, Jake, a widower, is trying to make a good life for his young daughter. Sara, his first love, is getting over losing her husband and unborn child in a car crash. Will they have another chance? And in Far Above Rubies, Paige does not care to find a husband but she does want to adopt a child. When she meets Brant, he challenges her motives and her faith…and her decision to stay single. Note – This novella anthology contains THE WEDDING’S ON, a reprint of a previous Heartsong Presents – see my Heartsong Presents page for the complete storyline and original cover!.